heather & olive: life lately: fall edition. I really didn't mean to disappear the last couple of weeks--things have been a little crazy. Between traveling for work and a rather packed social schedule, my creative computer time has been seriously lacking. 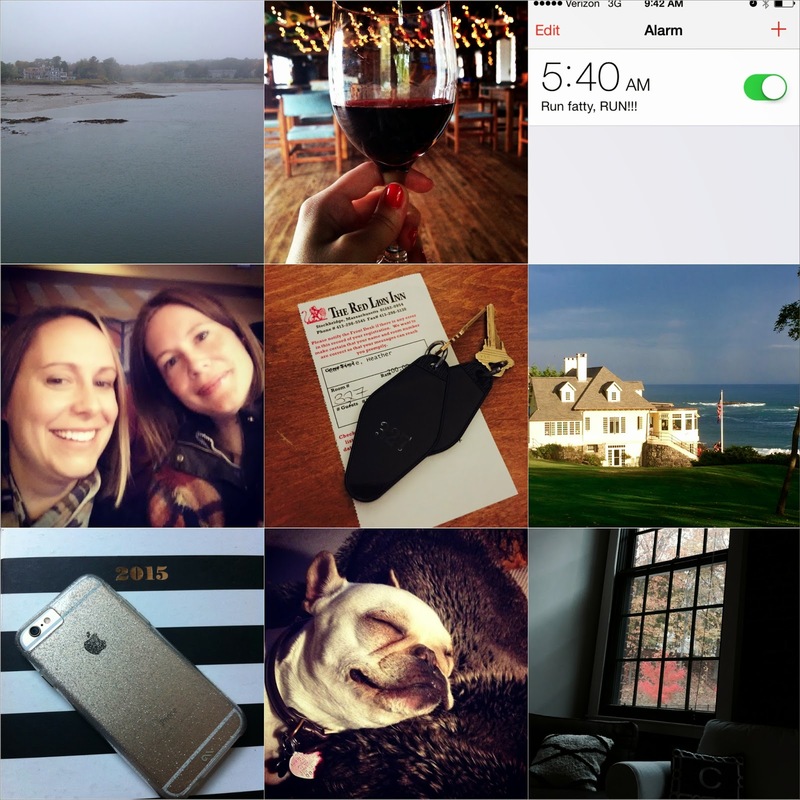 MET and I spent a lovely, rainy weekend in Kennebunkport. We enjoyed the foggy coastline and copious amounts of beverages. I've completely fallen off the workout train and thought that maybe setting my alarm to "self-shaming" mode would be a motivator. It didn't work. I had a wonderful time in upstate NY with my college friend N--it was so much fun to catch up, and her little ones are an absolute riot. MET and I also ventured to western Mass. for a night at the Red Lion--we were definitely the youngest people in the town (it was a leaf peepers convention of sorts) but we had a great time. I did a quick trip to Maine with my parents--I love it so much in the off season, and the York Reading Room is my favorite spot. I FINALLY upgraded to the 6 from the 4s. Total game changer. I enjoyed the fall foliage from the comfort of my couch. I'm going from 4S to..... 5 soon. I am slow to accept change. Cannot wait for your November revelations! Looks like you are having an amazing fall. So obsessed with Olive.